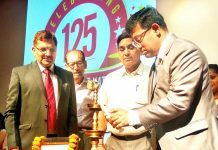 CHANDIGARH, Sept 8: Tata Motors today announced the launch of limited edition Nexon KRAZ (pronounced as craze, /kreiz/), to mark the 1st Anniversary of the Nexon brand. This neo-styling design treatment is inspired from the active world of sports and combined with the athletic performance of Nexon to attract the enthusiastic, active and sporty youth of today. Available from 5th of September, 2018, the Nexon KRAZ will be available in two variants – KRAZ and KRAZ+ at a starting Ex-showroom price (Delhi) of INR 7.14 lakhs for the petrol version and INR 8.07 lakhs for the diesel version. 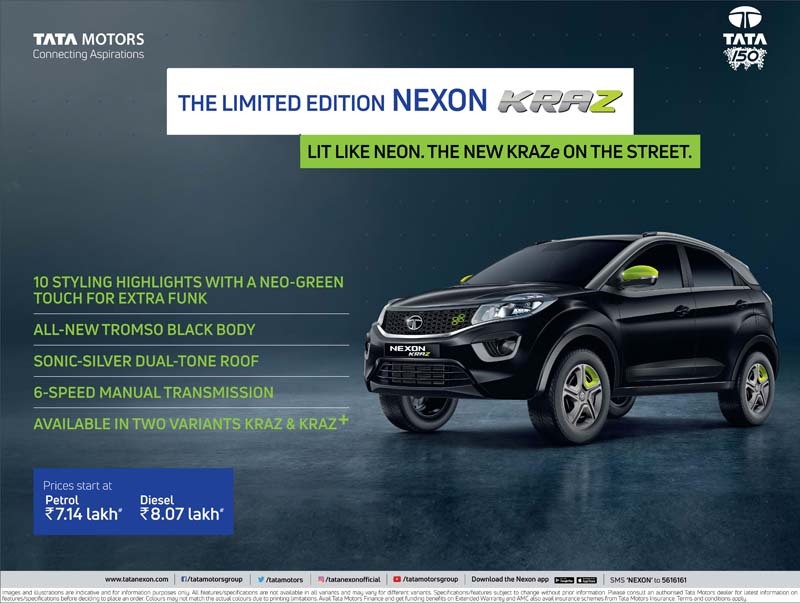 With sporty exteriors and spunky interiors, the Nexon KRAZ comes with 10 styling highlights, including all-new TROMSO black body with sonic-silver dual tone roof, neo-green seat stitch with KRAZ pattern for seat cushions, neo-green mirrors, Piano black dashboard with neo-green air –vent surrounds, front grill inserts, Piano black door and console finishers, neo-green wheel accent, Piano black steering accents, KRAZ badging and central control badging. The Nexon KRAZ will be powered by the company’s 110PS Turbocharged engines – 1.5L Revotorq (diesel engine) and 1.2L Revotron (petrol engine) mated with a 6-speed manual transmission. It will be equipped with Multi-Drive modes, delivering a versatile driving performance ranging from efficient cruising on highways in Eco mode, to managing traffic in the City mode to providing an adrenalin pump in the Sport mode. With best in class ground clearance of 209mm, the car also offers world-class safety along with absolute comfort and entertainment. 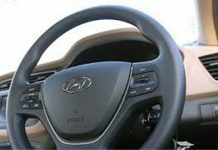 Additionally, the limited edition Nexon comes equipped with a 4-speaker infotainment by Harman, Bluetooth and steering mounted controls, automatic climate controls with rear air vents, electrically adjustable and foldable mirrors, reverse parking sensors, a multi-utility glovebox and a central console for organized storage.